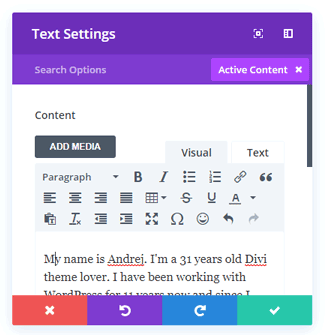 In this article, I’m going to write about some very handy Divi features that you may not know. 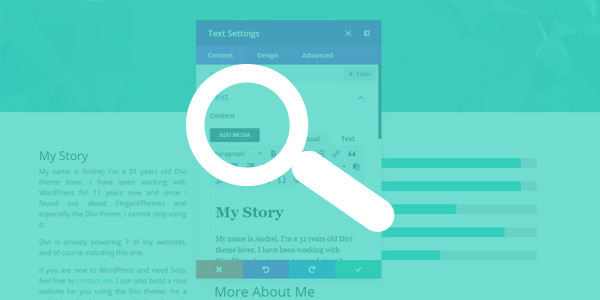 I will write about the Divi Visual Builder search and filter options. Please note that these features work in the Visual Builder only. They do not work in the Backend Builder. 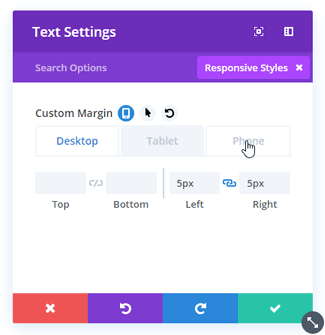 Whenever you are adding a new Divi module, at the top of the module settings box you will see a search field. You can use it to type e.g. “text” and it will bring you right to adding a new text module. 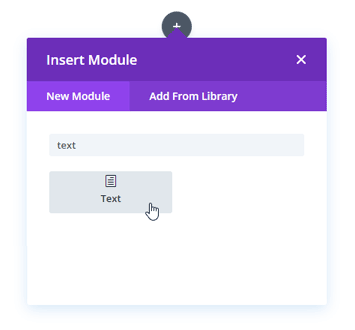 So this way you can easily add a new module simply by typing its name. And you can also use this search bar to search for a certain setting of a Divi section, row or module. 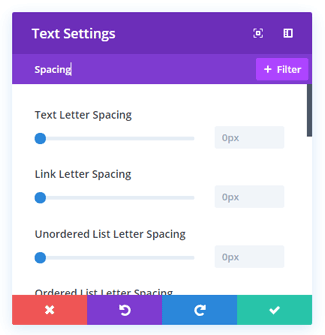 For example, if you type “spacing” in a section’s settings box, you will be shown the spacing options and will be able to set the padding and margin values for your section. 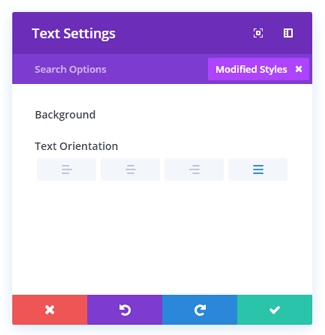 Click on the +Filter button on the right side of your search box and you will be able to choose between: Modified Styles, Responsive Styles, Hover Styles and Active Content. I will write below about each one of these filters. When you choose this filter option, you will be presented with all the settings of a particular module/row/section that you have already modified. I really like this feature. I use it when I need to make some small final touches to some of my modules. Using this feature I don’t have to search for a particular setting that I want to edit, but I will be able to simply edit them between all the edits that I have made. This filter option will show you all the settings to which you applied different values for mobile and/or tablet devices. For example, if you set different padding or margin values for your module, you will be able to edit these values easily here. 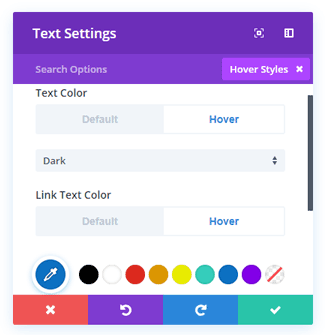 The Hover Styles filter will show you all the settings to which you applied different styling on hover. For example, if you set a different background color for your CTA button on hover, you will see these changes here. Lastly, the Active Content filter will show you all active content of a particular module, row or section. So, for example, if you have a blurb module with some text and an icon, you will be able to edit the text and the icon here. 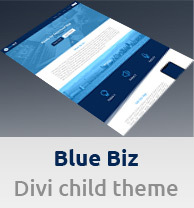 Did you know about these Divi features and do you use them? In my opinion, they are a perfect way to improve your productivity. For more Divi tips like this one, feel free to subscribe to my newsletter.